Take some melty beads, a child, an adult and an iron, and what do you get? Loads of fantastic 3D art to brighten up dull days! Whether it’s a a table mat, a wall decoration or a sign for a bedroom door, this melt-and-make kit creates colourful, permanent artwork that adds cheer to nearly anything. 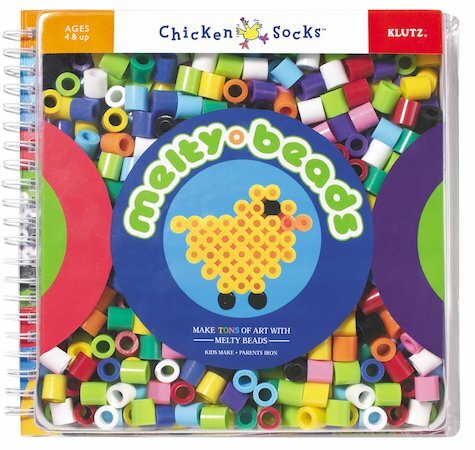 With large-sized beads specially shaped to fit little fingers, it’s the perfect rainy-day activity for parents and children to share. This book has everything you need to get started, including a sturdy plastic pegboard, lots of inspirational ideas and 600 colourful melty beads in a ready-to-peg package.